Like Vilma Santos, Lorna started her stellar career as child star. She gradually transformed her image from sweet innocent teens into a mature versatile actress. Like Rio Locsin and Alma Moreno, Lorna started doing minor roles in earlier Vilma Santos films. Most notably, “Batya’t palu-palo” together with another up and coming actor, the young Philip Salvador. She eventually became as famous as Vilma with hit films like “Dulce Amor,” “Moral,” “Luksong Tinik,” “Abakada Ina” and her most controversial off-beat role, Brocka’s “Maging Aking Ka Lamang.” She even wore the “Darna” customes on small screen. With a series of dramatic roles, she always end up empty handed with award nighs as both Vilma and Nora were playing tug-of-war, during their hey days. When the Vi and Guy rivalry slow-down, she was able to succeed, receiving several trophies and even recorded a grand slam best actress win like Vilma. Lorna and Vilma finally did a movie where both played lead roles, in Eddie Garcia’s record breaking, “Sinasamba Kita.” The two remained friends through the years. Lorna even guested several times on Vi’s television show in the ’90s. Like Lorna, Alma played bit roles in a Vilma Santos starrer, Tag-ulan sa Tag-araw. Unlike Lorna whose acting talent was evident early on even as a child star, Alma lacks the intensity. She eventually realized she needed to accept more daring roles to survive in this business, accepting roles that required her to disrobe She almost surpassed the commercial success of Vilma with starring roles in smash hits like “Mrs Eva Fonda 16,” “Bomga Star,” “Bitayin si Baby Ama,” “Nympha,” and “City After Dark.” Alma’s stiff competition during the height of her career was Lorna Tolentino and later on, a more daring star, Rio Locsin. Rio and Lorna also had a competition goin’ on when they did a much publicized film, “Step-sisters.” Meanwhile, Alma and Lorna’s competition reached its pinacle when they did Bernal’s ‘City After Dark.” Their subdued comfrontation scene in a narrow street while rain was pourin heavily was one of the most memorable scene in the film. Alma held herself, acting wise. This is not the only time that the two were connected, in real life, they share the love of one man, the late Rudy Fernandez. Alma was Rudy’s live in partner in the 70s to the half of 80s while Lorna became Rudy’s wife in the later part of 80s until his untimely death. Both actresses have children with the late action star. If Lorna portrayed Darna like Vilma while Alma portrayed Dyesebel like Vilma. Alma and Vilma did one film during the height of Alma’s career, Elwood Perez’s hit film, “Magkaribal.” Like Lorna, she also guested a few times in Vi’s television show despite the fact she also compete with Vi with her own musical variety show, Lovely Ness. It was reported in tabloid during Dolphy’s funeral, that the two tried to avoid each other (by the way, Dolphy was Alma’s ex) for some unclear reasons, some think it was politically motivated as both are now politicians. When Sharon entered the scene, she find a stiff competition from the rival of her film studio Viva, Regal’s contract star, Maricel Soriano. Soriano like Vilma started as a child star and became a confident actress, tackling mature roles that her contemporary including Sharon didn’t dare to tackle. Like, Vi, she dared the public to accept her in such memorable films like “Hinugot sa Langit” and “Pinulot Ka Lang sa Lupa” where she played an abortionist and “bida-contrabida” sociallite. 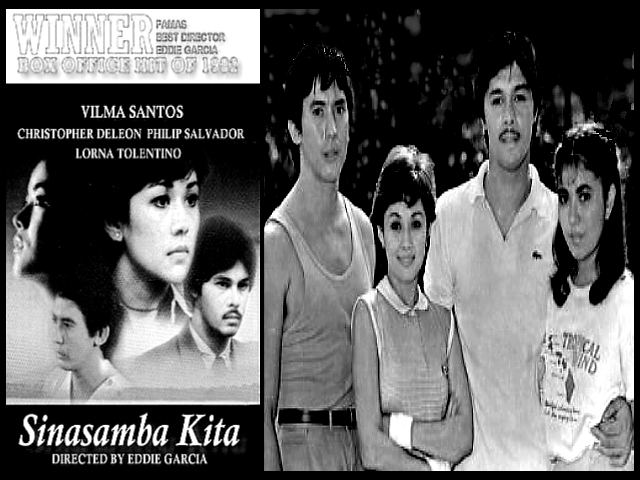 A similar career milestone movies patterned with Vi’s “Burlesk Queen” and “Sinasamba Kita.” The two finally did a film in the mid 1980’s in Regal’s commercial film, “Yesterday, Today and Tommorow.” Unlike Sharon who became known first as a singer, Maricel, like Vi were known for her dancing abilities. She did this in her own musical variety show, titled “Maricel Live!” and later in “Maria! Maria!” where she competed for TV ratings with Vi (and Sharon) during the 1990s (Like Vi, she also did TV drama anthology). During this time, Maricel became entangled with the controversial transfer of Vi’s TV co-host, Roderick Paulate to Maricel’s show. But in due time, all were forgotten and the three remained friends to this date. This is not the only time that Vi became part of Maricel’s personal relationships, Vi’s ex, Edu Manzano also became Maricel’s husband for awhile. Both Maricel and Edu, at one point, thought their relationship will last forever. But the two separated after a few years of bliss. Now, in her senior years, Maricel attempted several comeback after years of semi-retirement. Like, Sharon, Maricel confessed her respect and admiration for Vi in several movie articles. And after several year of semi-retirement, she is now reportedly starting some projects for ABS-CBN and also have some film projects lined up. 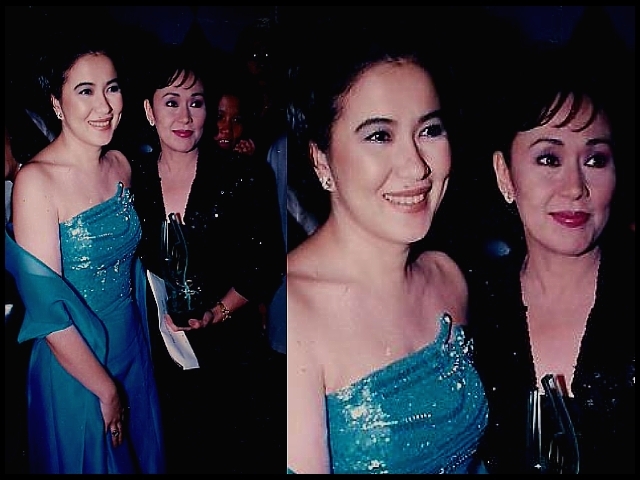 Among the junior actresses that followed Sharon and Maricel, Claudine and Judy Anny were the most successful in terms of sustaining their popularity. Although Claudine’s career in now on its downward phase, she remained one of the most talented and was praised by Vi herself for being one of those versatile. Claudine, like Vi, started her career as a teen star with an on and off screen love partner, the late Rico Yan. Rico and Claudine was one rumoured to be engaged but his sudden death ruined this wishful dream for their die-hard fans. Prior to her teen transitions, Claudine was a regular cast in Dolphy’s TV sitcom, “Home Along da Riles.” After Yan’s death, Claudine became a serious contender for acting supremacy with several drama tele-series competing with her stiff rival Judy Ann and several drama films. She won acting recognitions with her performance in 2004’s “Milan” (where she competed for acting awards with her rival Judy Ann Santos and with veterans, Vi and Nora) and 2005’s “Dubai” and “Nasaan Ka Man” where she received several trophies and nominations. She also became a certified box office star with films, “Sukob” with Kris Aquino in 2006 and her sole movie with Vi, the blockbuster, “Anak” in 2000. Claudine’s rival, Judy Ann also started as a child actress and a regular cast in several teleserye. Like Claudine she also transitioned into a teen star with her successful partner, Wowee de Guzman and later on, Piolo Pascual. Her rumoured real life relationship with Pascual was one of the most publicly dessiminated relationships in the local scene that did not resulted in happy endings, she ended up marrying a newcomer during that time, the more serious with intention to settle, Ryan Agocillio. Judy Ann with the guidance of Vilma’s former supporter Alfie Lorenzo, maintained her popularity compared to Claudine. She successfully turned her successful princess of teleserye career into a full-pledge serious actress with projects like “Magkapatid” (with Sharon Cuneta), and her more serious films “Sabel” and “Ploning.” Although many articles came that she prepared to work with Vi’s rival Nora, she recently clariffied this wasn’t the case, that she prepared to work with both. Maja Salvador, Kim’s co-star in TV’s “Ina Kapatid Anak” was onced Vi’s protege, she co-starred with Vi in 2006’s highly anticipated drama episode of “Maalaala Mo Kaya” titled “Regalo.” Her performance in this episode was highly praised and crtics even predicted that she is the one to watch. An article came that she was supposed to reprised Vi’s Burlesk Queen role but she clarified that she was too young to do a mature role. Prior to Ina Kapatid Anak, her recent success was her indie film, “Thelma” where she won a best actress trophy from the critic’s group, Gawad Urian. 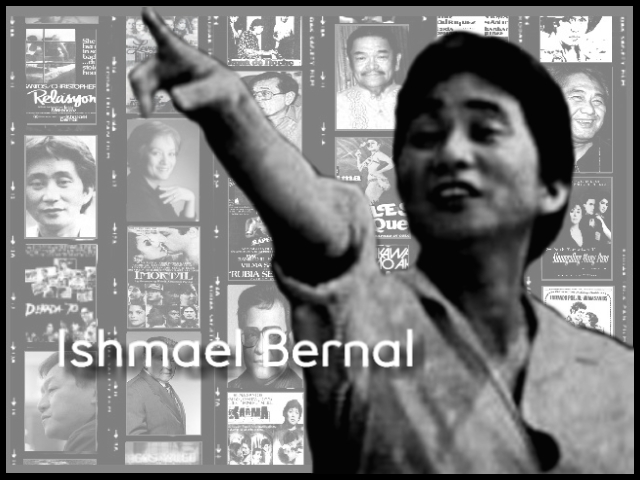 Snook Serna and Vilma Santos first film together was the 1971 musical, “The Wonderful World of Music” where they co-starred with Tony Ferrer and Boots Anson Roa, Snooky was still a child star and Vi was in a teenage love team with reel and real life sweetheart, Edgar Mortiz. Both actresses started as a child star, Vilma in Trudis Liit in 1963, where she won a FAMAS best child actress while Snooky did seven film in her debut year in 1970 and won a FAMAS best child actress for My Little Angel. Both actress’ route to fame were similar, taking mature roles, started with Vilma in Burlesk Queen (1977) and Snooky in Bata Pa Si Sabel (1981). The two did three more films, in 1986 with the box office hit, “Yesterday, Today & Tomorrow” with Maricel Soriano; in 1988, Vilma appeared in a minor role in the forgettable film, “Bukas Sisikat Din Ang Araw,” with Gabby Concepcion; and finally in 1990 with Lino Brocka’s “Hahamakin Ang Lahat (All Be Damned).” Working with her former mentor, Brocka’s “Hahamakin…” earned both Vilma and Snooky several acting nominations but it was Snooky who was lucky enough to received a PMPC Star Award for supporting actress. Like Vilma, Snooky did television projects, she did a drama anthology for ABS-CBN in 1989 and several guest drama appearances after but her most successful stints was in 1987-88 where she tried to host a musical variety show titled, “Always, Snooky.” She earned two PMPC Star Awards nomination for TV Best Musical Variety Show Host but twice loss to Vilma. Lorna Tolentino and Vilma Santos started their stellar career as child stars. Both transformed their career from sweet teens into mature versatile actress. Like Rio Locsin and Alma Moreno, Lorna started doing bit roles in a Vilma Santos starrer. She eventually became as big star as Vilma with Dulce Amor, Moral, Luksong Tinik, Abakada Ina and Maging Aking Ka Lamang. Lorna also wore the Darna costume and beame a grand slam best actress winner.